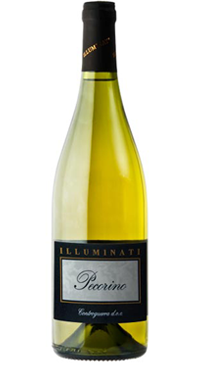 This is a fresh and flavourful Italian white wine made from Pecorino grapes. The grapes are hand picked and fermented mainly in stainless steel steel with just 10% of the must fermented in barriques providing a delicate amount of wood and texture to the wine. The nose offers ripe tree fruit and white flowers, almonds, herbs, citrus and spice. The palate has ample fruit and strikes a nice balance between structure and softness. This is a great white wine to sip alongside salads, seafood starters and fried fish. Pecorino, the grape from Controguerra, is well known for being dry and minerally with elegant floral notes. On the nose, this wine presents ripe stone fruit, hints of spice and herbaceous undertones. For a somewhat unknown varietal this wine shows a beautiful balance between acidity and softness on the palate. For an easy fish and chip supper to scallops and lobster, this wine has great versatility and range.